Have you heard? 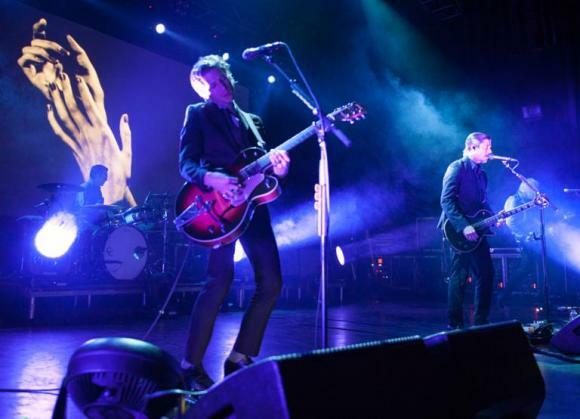 Interpol is back and coming live to the Madison Square Garden on Saturday 16th February 2019! Donʼt miss your chance to be there! Secure your Interpol tickets today but clicking the button above. Originally making their name as part of New York's post-punk indie scene in the early 2000s, alongside bands such as the Strokes, Longwave, the National and Stellastarr, American rock band Interpol found critical acclaim with their 2002 debut album Turn on the Bright Lights. Reaching tenth position on the NME's list of top albums in 2002 and number one on Pitchfork Media's Top 50 Albums of 2002, the album was the first of several successful albums for the band, whose subsequent records Antics (2004) and Our Love to Admire (2007) brought the band international recognition. Since its inception in 1997, the group has released eight EPs and six studio albums, including their latest; 2018's Marauders. In the United States, Interpol has sold over one million albums, and almost two million worldwide. Back with a brand new tour for 2019 – here's another amazing chance to see them LIVE! !